Mt Buller is a mere 3 hours drive from the heart of Melbourne, being 248km North-East of the city, making Buller the most accessible snow resort in Australia and the closest resort to any international airport (Melbourne, Tullamarine). Buller’s a 6 hour jaunt from Canberra, 9 hours from Sydney and some 9.5 hours from Adelaide. The drive there is also far from unpleasant. You can choose to enter the region via the Yarra Valley or take the Hume Highway through Tallrook. A number of small townships will be happy to see you, among them Yea, Yarck and Mansfield and all of which will entice you with good food and coffee. There are also a plethora of coach services from both Melbourne and Adelaide if you’d prefer to focus solely on the view. Once you arrive at Buller, you’ll be relieved with the knowledge that it is one of the only Australian resorts able to guarantee snow cover, commencing on opening day – 10 June 2018. 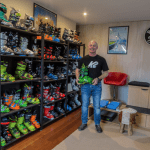 The reason they’re able to deliver such a bold promise is thanks to a $1.6m investment into the so-called TechnoAlpin SF220 ‘Snowfactory’ which began operating at the start of last season. The Snowfactory complements an existing snowgun network of 244 guns, and is situated above the Blue Bullet chairlift on Bourke Street. It’s capacity to produce 220 cubic metres of snow daily, was met with rave reviews last year and is set to be similarly received this year. “We’ll have a good snow cover, ready to go for beginners, kids and advanced skiers who want to get the legs moving,” said Nick Reeves, Buller’s Mountain Manager, last year. In fact, Buller began cranking out snow in preparation for the 2018 season a few weeks ago on the 19th of April. It’s worth mentioning Buller also opened a week early last year, and there’s a good chance they’ll try do so again so keep an eye out and you might even be able to get a week of skiing under your belt before Queen Lizzy’s birthday. You can actually follow the snow piles growth here. In keeping with bringing firsts to Australia, Mt Buller is also set to unveil the first SnowSat system in Australia this winter. SnowSat allows grooming to precise depths across ski runs, effectively maximising every centimetre of snow. This is done via plotting the position of the grooming machine to a margin of a few centimetres and deducting its height from a depth value taken from a digital terrain model (all in real time). It’s high tech stuff, like making snow in temperatures of 20 degrees (read: Snowfactory), but it basically means skiers and boarders can enjoy more corduroy and greater snow coverage. Last year Mt Buller hosted Australia’s first ever big mountain freeride event – Buller X – and in doing so alerted scores of people to the existence of some exciting and very challenging Australian terrain. If you weren’t glued to the webcast last year, don’t make the same mistake this year. Whilst timing you’re trip to Buller to coincide with the spectacle of Buller X is not easily done, in light of the competition dates flexibility surrounding weather and conditions. 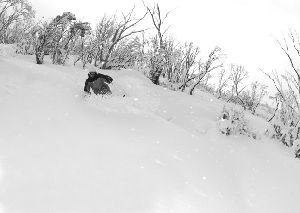 This shouldn’t stop you from visiting Buller and sampling some of the more serious terrain Australia has to offer for yourself. Whilst the chutes tackled in the competition were beyond even what you might consider double black diamond in Australia, Mt Buller affords a variety of runs sure to take your skiing or boarding to the next level. 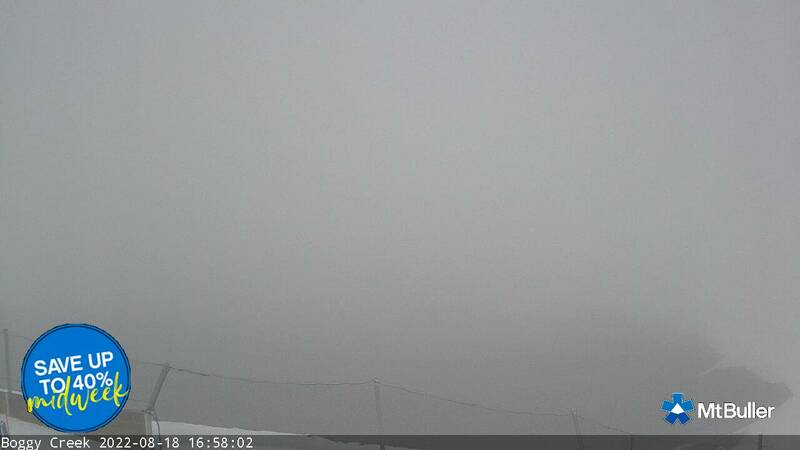 “This is not terrain for any skier. Only a small pool of athletes is even in contention for Buller X. 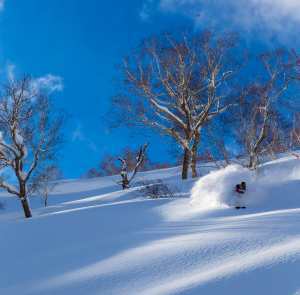 This is serious terrain for serious skiers,” explained Harro last year. No more should Bourke Street and bunny slopes come to mind when you hear of Buller, especially considering 35% of terrain there is touted for advanced and 45% for intermediate riders. 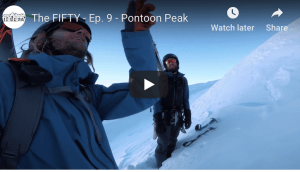 When the snow falls, the southern slopes with their steep and technical skiing beckon, whilst tree runs deep on the northside seriously entertain when the snow settles low enough. The Tirol t-bar dissuades the majority of punters, keeping pockets of fresh stuff for you to enjoy and there is some fun to be had down around Chalet Creek. The fun doesn’t stop after dark at Mt Buller, and neither do the chairlifts. Last year the resort introduced ‘Twilight Sessions’ allowing visitors to ski and board under lights until 8:30pm on Saturday and Sunday nights from 7 July to 26 August. If you need more incentive than a few extra turns on Bourke Street, discounted lift tickets after 3pm and extended shuttle hours until 9:30pm mean there’s no reason to rush home. Couple this with live entertainment in the village square including music and film screenings and you might never leave. Perhaps the best way to enjoy the session is by breaking it up with some pizza and drinks from ABOM or Cattleman’s or any other venue on Bourke Street. Word on the (Bourke) street is this year the twilight sessions will have a distinct glow-in-the-dark theme, so break out the LED suit and glowsticks. The Mt Buller Village is perched high on the mountain, 1600m above sea level, dissected by ski runs and snow gums. 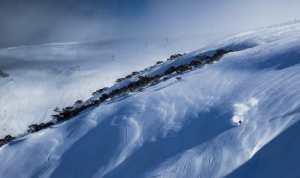 Nestled up there you’ll also find the most on-mountain beds of any Australian resort at over 8000, meaning there are plenty of options when it comes to staying in the snow. As you’d expect, accommodation ranges from budget bunks to ski-in luxury apartments, hotels and chalets meaning all-comers can enjoy the feeling of waking up and seeing snow out the window. The village also comes complete with over 40 cafes, bars and restaurants ranging from easy take-away to fine dining. If the backcountry is more your cup of tea, you best not forget Mt Stirling is right next door. Topping out at 1749m, Mt Stirling offers a wealth of untracked turns for alpine skitourers and backcountry snowboarders. The summit also offers stunning 360-degree panoramic views of the surrounding ranges and Australian high country.